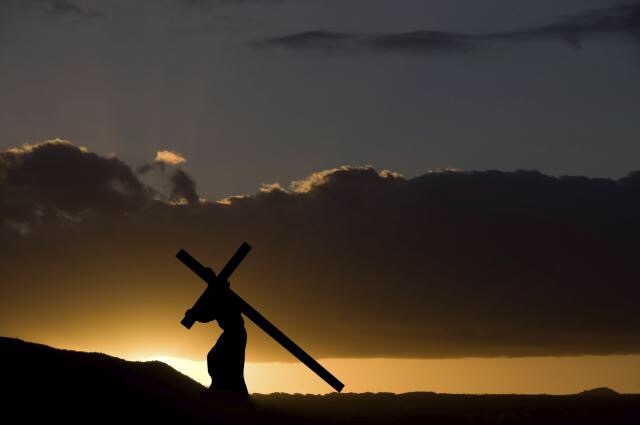 Hallelujah to the wounded One today….the One who carried my sorrows, pain and grief to the cross. The One who broke down the great wall of enmity and gave me His precious name- anointed one! Honor and glory to the Son! He is worthy…..worthy because He was slain. Worthy because He LIVES! I have been purchased, bought with His precious blood. Delivered from darkness and evil and I am now His child. His beloved and chosen. Glory and praise and all adoration goes to the ONE! The Great I AM! Hear Him whispering to your heart, to let it go and BE ALIVE with Him! He is the image of the invisible God, the first born of all creation. He created all things in heaven and earth…. He is the beginning and the first to come back to LIFE! We are celebrating LIFE! Be filled with hope today that God is a God of resurrection power! Believe Him to bring LIFE to the dead things in your life – expect a miracle! Visit my new YouTube channel and be encouraged! This season of life is so much fun! Author lisa roitschPosted on March 27, 2016 Categories God, JesusTags bible, death, Easter, hope, joy, life, love, poetry, resurrection, soulsunday, worship1 Comment on Be Alive! The cries of our soul often reveal deep and hidden mysteries. They expose the sorrows of our own life – things that have happened to us or things we have engaged in either unintentionally or voluntarily. Deeper still, they reveal how our heart is connecting with God. There have been times when I find myself frustrated that I still falter and stumble at some of my deep emotions. It is in those times that I cry out to God in desperation-unashamed. As I allow God to come alongside me, His kindness and mercy begins to shine forth. His word becomes a soothing haven for my soul and I see myself inside of Him and all of His goodness. These concepts began to solidify within me by my fascination in meditating on the Psalms. I realized David cried out to his God a lot like me. In fact, some of his prayers are mine! Through the Psalms, God shows us how to engage with Him in our struggles. God created our emotions and He wants us to acknowledge and experience them (although not to always allow them to direct our actions or beliefs). In doing this, we learn what true intimacy is supposed to look like as we partake of God and share our deepest thoughts and emotions with Him. It is then we can allow Him to untangle everything that is going on within us. I believe that true healing and restoration occurs when we courageously step into our stories of pain and harm and are empowered to share it with others. I believe everyone has a story to tell, even our heavenly Father had a story – one He has shared with the whole world. A story filled with pain, brokenness, and evil. And yet out of that story there is hope, strength and restoration for all! As we begin to share our pain and emotions with others, something very organic and powerful happens. We find comfort in knowing that we are not the only one that has been shattered by the evils of this world. And we begin to begin to find shalom in every dimension of our lives- peace, harmony, wholeness, completeness, prosperity, welfare and tranquility. I have learned that in telling “my story”, yes, my emotions rise to the surface, but this needs to happen in order for a loving Father to bring healing. This requires the courage to break through my fears of someone else knowing my weaknesses and failures. When I am brave enough to share my story with others, it creates a community that is authentic and real. As I find others who are willing to share their story and hear mine, we actually start building the pure house of God. A free and open place of refuge and safety where we can be fully known and fully loved. What is the cost involved to let Jesus into your soul? Only you can answer that question. But I can tell you that when you venture out and embrace the fullness of who you are -it will empower you to be an agent of transformation in the lives of others. Precious one, allow the Holy Spirit to talk with you regarding your emotions. He will speak and show you things about yourself you did not know. I must warn you however, this is for the brave at heart. Some things you may have tried burying in the recesses of the dark because they feel too painful, but God wants all things to come to His marvelous light. My own healing journey has moved me from a place of shame and failure to a path of goodness, honor and delight. I write these truths to encourage and inspire others to courageously reach out and begin to tell their story. You can start with telling your story to your heavenly Father who loves you like no other. But press on and share it with trusted others who are able to name both your deep woundedness AND your deep goodness. As a result, you will grow a deeper capacity to know and live out your calling and engage in life-giving relationships with God and others. “Because he has set his love on Me, I will deliver him; I will establish him on high beause he has KNOWN my name. God became flesh and lived among humanity, not just to live a perfect life as an example and to ultimately die as an innocent sacrifice, but to continue to live with anyone that would accept that sacrifice. His perfect method of accomplishing this was by sending His spirit to dwell within all who will believe. God calls His “spirit-indwelled” people to something greater, something more significant and powerful. God’s children are redeeming forces on this earth. Their time here is about reclaiming the things He has created. Rise up sons and daughters! As My purchased possession you are equipped with all power, love and righteousness. Call out to whomever will listen – give away all of Me that is inside of you. Bring My kingdom to every sphere of influence you have. You are carriers of My goodness to a dark and lonely world. Stand back and watch what I will do. I have made all things new and My delight is that all know Me and receive My love.